Take a number of golf clubs at a trade-in value of a €100. Remarkably, American Golf Cork will offer you double the trade-in value of €200 towards another set of clubs. This is a bloody good offer! Notably, if you have the time to call to the shop and see if you can do a deal. Apparently, American Golf Cork are using the PGA of America’s golf club valuation book to establish the golf club trade-in value. However, the value book is in US dollars and American golf is using an exchange rate of 1.30 USD to the Euro. Therefore, if your clubs are worth $130.00 that amount will transfer into €100.00. I think this is value system is a bit off as 1 US Dollar is valued circa 0.95 cents, which is around €1.05. But, golf clubs at double the trade-in value, this offer might be a good move for you? By all means, let’s take this example; you have 2 sets of clubs. 1st set is gathering dust and the 2nd set you have is a few years old. Furthermore, let’s assume that American Golf is offering you values at €150.00 and €350.00, leaving you with €1000.00 to work with. Also, if you have a number of old wedges and putters, I would suggest take what you have in your garage and see what you can get for all that stuff! At John Dooley PGA; we would not be able to match a trade in value offer compared to American Golf Cork. 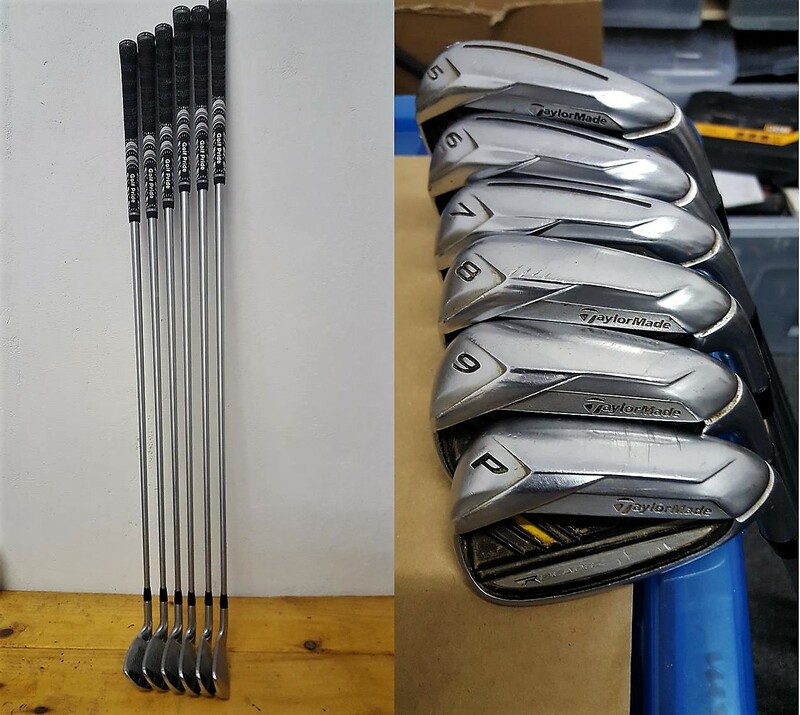 However, contact us if you require a golf club fitting expert to identify what type of shaft suits your golf swing and or golf club lie angle.